Since the introduction of the Drop Weight Tear Tester - DWTT, materials have moved on. In particular, demands for high operating pressures of line-pipes and larger diameters have driven the development of higher strength steels. Forty years ago the work that led to the drop weight tear test was done on X52 steel (360MPa yield strength). Improvements in thermo-mechanical processing has yielded improvements of approximately 10,000psi per decade, to the point where the state of the art is now X100 steels, and the use of X120 steels is being considered. This development in material technology has placed substantial demands on conventional test techniques and the relevance of some results have been drawn into question. 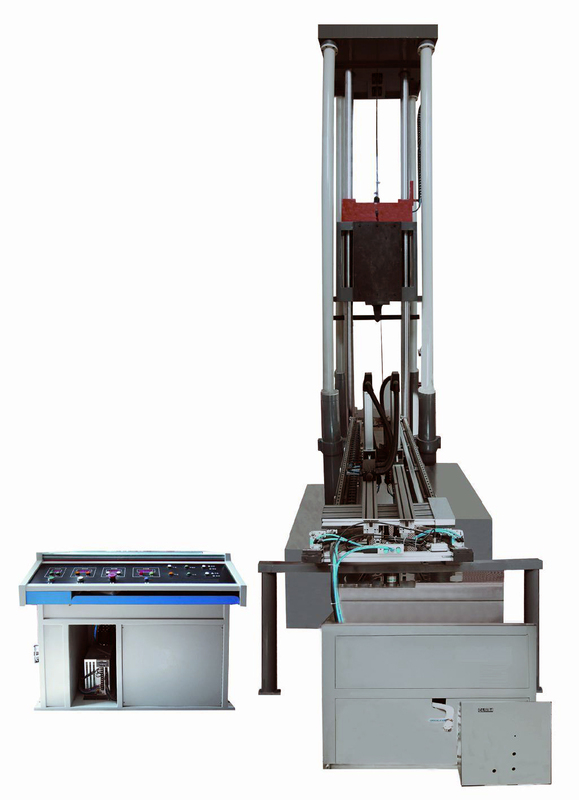 Since a Drop Weight Tear Tester - DWT tester represents a significant investment both in terms of capital cost and operator training, it is important that any equipment being specified now should have the flexibility and the capacity to cover developments in test methodology and the mechanical properties of materials for the expected service life of the apparatus, ten years or more. To this end, this article examines issues concerning the measurement of fracture toughness of steel, and in particular the use of high capacity instrumented DWT testers. A range of drop weight impact testers for measuring the fracture characteristics and fracture ductility of steel specimens according to the following standards: API recommended practice 5L3, EN 10274, ASTM-E 436 and ‘Pellini’. Very robust construction stands up to the rigours of high energy testing to provide high reliability with a minimum of downtime. Easily interchangeable contact parts simplify maintenance and reduce cost of ownership. State-of-the-art testing accommodates impact energies up to 100,000J and specimens up to 50mm thick. Very high levels of safety employing multiply redundant systems, compliant with 89/392/EEC and 91/368/EEC machinery safety directives. Automated specimen loading provides compliance with cycle times required by test methods, while maintaining operator safety. Very rigid base and anvils ensures very low flexure under high test loads. Guided mass system to ensure that the impact geometry is correct throughout the entire test. Highly accurate and repeatable drop parameters. High quality, easy to use control software ensures consistency and enhances throughput. Ergonomically designed, no requirement for the operator to work at elevated heights or handle excessive physical loads. Optional instrumentation package to measure impact force up to 1500kN. Provides values for peak force and energy to fail, together with a high resolution force-deflection curve to analyse failure mode. Optional variable mass system to provide precise control over impact parameters. Optional high speed, fully integrated video system to provide visualization of specimen failure mode. Optional liquid cooled temperature conditioning bath. Variable mass system Improves the range of applicable impact energy. The range improvement varies for the product range. Specimen Cooling Bath –80ºC to +20ºC, The DWTT cooling bath accommodates up to 14 specimens of 20mm thickness at a time, enabling preconditioning of the specimen at low temperature. API recommended practice 5L3, EN 10274, ASTM-E 436.